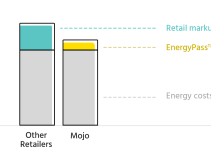 We recently asked CIOs and billing managers at over 20 competitive energy retailers what aspects of their businesses a good and efficient billing operation can help improve. Customer satisfaction was the overwhelming response, ahead of other potential business impacts such as increased competitiveness, profitability, service differentiation, and launching new products. Of course, the flipside to customer satisfaction is complaints and unfortunately billing is among the biggest culprits. 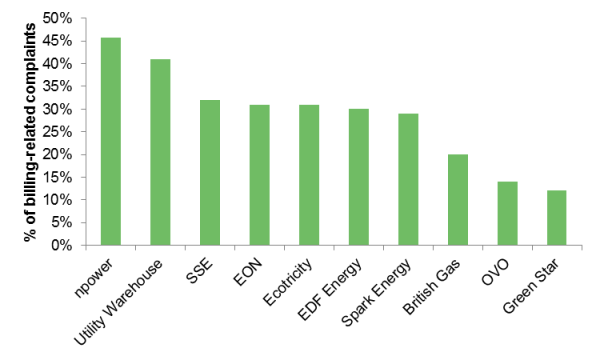 At many energy suppliers billing-related issues are the largest single cause for dissatisfaction and can form a sizeable proportion of all complaints. As a catch-all, billing covers a number of root causes for dissatisfaction, including inaccurate bills (e.g. estimated or missing meter readings, wrong tariff applied, missing payments), unclear bill presentation, issues with back-billing, and missing bills. Estimated bills are a bugbear for customers. Where smart meters are being rolled out, these should eventually be consigned to history. In the meantime, suppliers may have to put in stop-gap measures to help improve billing accuracy. In the UK, it’s not uncommon for suppliers to ask customers to submit their meter readings ahead of the billing cycle, to reduce the use of estimates. The key to success with this approach is to make the process quick and easy and allow customers to choose the method that’s most convenient for them to submit their readings – e.g. email, app, online service, automated phone line. Developing this multi-channel self-care functionality may require investment on the part of the supplier, but it can pay dividends in terms of reducing billing issues and improving customer satisfaction. There may also be gains from reviewing how the bill is presented. Despite improvements in bill layout across the industry in recent years, some bills are still overly complex or hard to digest. Needing more information to understand a bill can push up inbound calls, hike customer service costs, and increase dissatisfaction – all of which is bad for business. The good news is that suppliers are making changes to how they present their bills and statements. 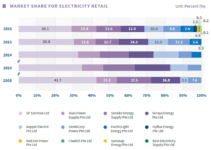 For example, UK independent retailer isupplyenergy has recently reviewed the layout of its energy statements in a bid to make them clearer and more concise, while British Gas says it’s planning to trial a simpler bill. Some of the most widely publicised utility billing issues relate to glitches experienced during large-scale billing and IT systems transformation projects. It isn’t just the big suppliers who can find themselves receiving bad press if things go wrong as millions of customer accounts are migrated to a new system. It can also happen to a rapidly growing mid-sized competitor who is replacing an outgrown entry-level system. Can these situations be avoided? Not entirely perhaps, but the risks can be mitigated at least to some extent. For example, new suppliers should consider investing in a billing solution that can scale and grow with them, to avoid an upgrade later on. Many CIS vendors now offer their solutions on a pay-as-you-grow, software-as-a-service basis, which minimises the upfront capex requirement. This way of buying software helps put flexible and scalable modern billing systems within the reach of the new and smaller independent energy retailers. If suppliers do find themselves needing to swap out their billing systems, without question they should look for partners with a proven track-record of undertaking successful transformations. The candidates include not just the larger well-known IT vendors and systems integrators, but also various mid-sized billing / CIS vendors who implement their own solutions.